By Jason Chan - Contributor · October 26th, 2014 at 4:40 p.m. In 1997, the UK and China signed a treaty to transfer Hong Kong back to China, ending the British reign. The ‘One Country, Two Policy’ system was created to ensure Hong Kong’s previous capitalist system and style of living would remain the same for 50 years. 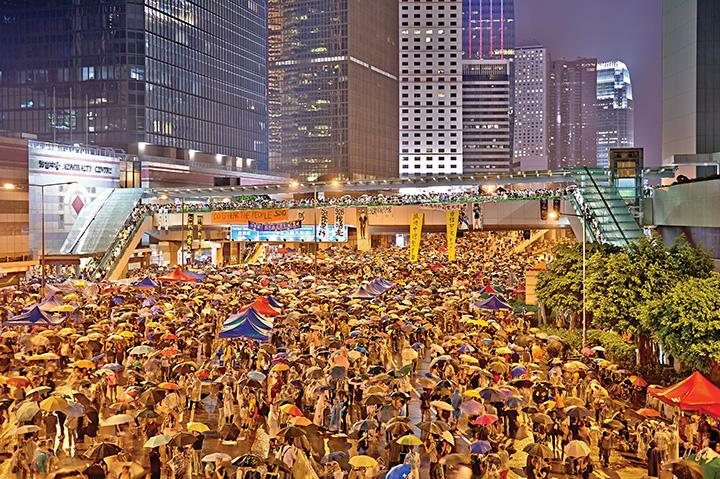 As part of the deal, China promised Hong Kong a full democratic election for the CEO in 2017. In early August of 2014, the Chinese government issued a new policy stating candidates had to be approved by a special committee before they were eligible to join the election. In other words, the Chinese government was going to pick the candidates for the citizens. This anti-democratic process made the people wonder if there would ever be true democracy in Hong Kong, and if the Chinese government would strip more rights away. On Wednesday, October 1st, student groups led a peaceful protest against this policy, asking for real democracy at the Tamar Square. Armed police came and forced the students out of the Square, which led to protesters from the Occupy Movement joining in. Students and other protesters occupied the Hong Kong city’s government headquarters, along with the main highway of the financial district in Central Hong Kong. The movement escalated quickly when police attacked surprised protesters with tear gas and rubber bullets. Civilians were outraged at the use of force, which led to even more people joining the movement. As of right now, protesters are occupying three major districts, hoping the government will initiate a discussion about the election.